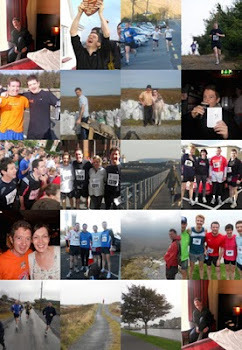 Around the Year in 24 Pints: Crocked Runner Needs Advice on Other Ways of Keeping Fit! I am sorry to hear you're still injured, Brendan. Firstly, I hope you will not need any kind of surgery. Secondly, you could go swimming ... if you like it. Can you swim? that might be the only way to go... Good Luck. The elections for the European Parliament will take place between May 22nd and 25th. And I’d like to know your point of view about this topic. Could you leave a short thought? I am going to make the same question to all my blogger friends who live in the EU. Sorry to hear about your injury. I've had a few niggles over the past few months. I turned to Kinesiology Tape, although your injury sounds quite bad? I'd recommend hitting the pool and doing some walking. Once you've built up the strength in your leg, try running under water and then swimming. Good luck!